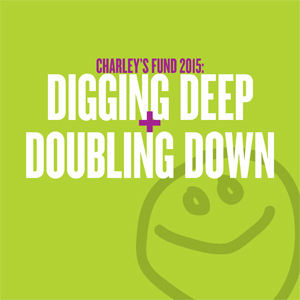 For Samantha Wilner, passion for Charley’s Fund runs in the family. Samantha’s mom serves on our board of directors and is very involved in fundraising. For Sam’s bat mitzvah in October 2012, she designed party favors that let her guests know that her bat mitzvah isn’t just a big party — that her special day really does mark the beginning of a life of charity and good deeds. Custom chocolate bars that Sam designed notified guests that a donation was made in their honor to help us find a cure. Mazel Tov Sam and thank you for choosing Charley’s Fund as you embark on a life of mitzvot (good deeds)!